How can we not honor those who have been forgotten in time and from our history books? They were leaders and freedom fighters who were murdered for slave rebellions and uprising in a never-ending pursuit of freedom. How can we not honor and mourn those who lost their lives in white riots that destroyed communities like Black Wall Street in Tulsa, Oklahoma in 1921? How can we not honor the thousands of African Americans who died fighting in every war that this country has had, yet we continue to be treated as second class citizens on a daily basis? How can we not give honor to those freed Africans who were businessmen and farmers who were lynched, and their lands taken from them and their families members? How can we not remember those who have been victimized by government medical experimentation, the assassination of our leaders, and those who were denied the right to vote for generations? Gerrymandering of voting boundaries is used to reduce our voting power and political influence. Still today our children are subjected to separate and unequal school systems designed to undermine our economic opportunities. And let us not forget the school to prison pipeline along with the unfair practice of sentencing African Americans to longer prison terms for the same crimes. How can we not protest against the millions of acts of racism and discrimination of oppression that is the societal norm in our country? It is my opinion that the civil war never truly ended for African American people. 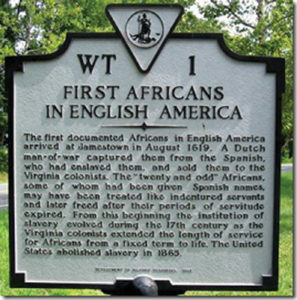 It was merely agreed that white people would stop killing each other and that descendants of enslaved Africans would continue to be persecuted daily in our society. Based on that, it is understandable why millions voted and elected our current president. The presidential votes showed that over 62 million Americans agree with the President’s racist views and they totally agree with his racist political agenda. These individuals live next door to African Americans; they are the bankers we must ask for loans, teachers we expect to educate our children, doctors we look to for medical care and judges we expect to treat us fairly in the judicial system. There are some of the professionals we look to as the gatekeepers of the American ideals of life, liberty, and the pursuit of happiness. However, in many cases, they are the gatekeepers of oppression! The Institute for Policy Studies (IPS) and the Corporation for Economic Development (CFED) conducted a study in which they examined the racial wealth-gap. This study predicates that the economic hardship for African American people is so bad that it will take another 228 years for us to achieve some level of economic equality with our white counterparts. The policies implemented by our current president will widen that gap, making that equality more elusive. How many more generations of African Americans need to suffer before we unite? When it comes to oppression, minorities in the United States have a symbiotic relationship with white Americans. Therefore, we should ask all minorities to join with us on August 20, 2019 to celebrate our collective achievements and openly demonstrate against all forms of “isms” in our society. Every ethnic group over the past 400 years has been suppressed and oppressed by the white privileged, racist power structure and has struggled within this oppressive system. Institutionalized racism is designed to undermine African American people and control their advancement in all segments of our society. We can no longer tolerate and allow it to oppress and destroy African American people for another 400 hundred years. We need individuals and organizations to help organize protest marches at every state capital and territory in the union. This is not impossible–it can be achieved through unity, leadership and organization. Will you support this call for a National Day of Unity? If not for you, then I hope you will participate for our ancestors, our families, our friends, our children, and future generations!